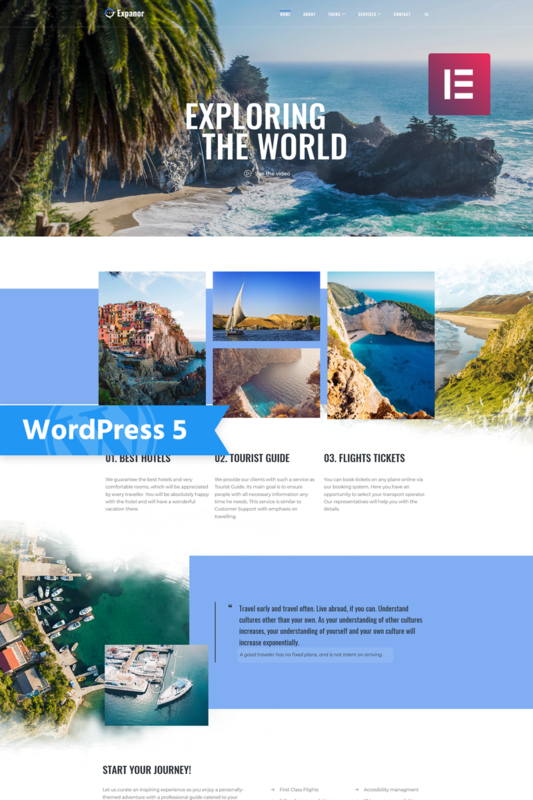 Do you want to present your travel agency in the most exciting way? Do you want to engage more clients and boost your travel services? Expanor theme is a great idea for such needs. It has a bright, memorable appearance and rich functionality. 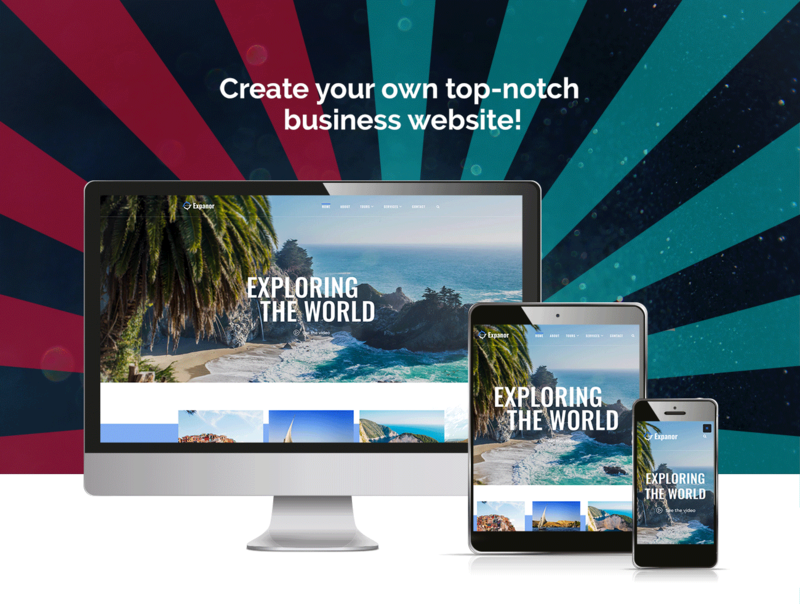 You will be able to enrich your website with useful information about your company, provided services, tours and much more. 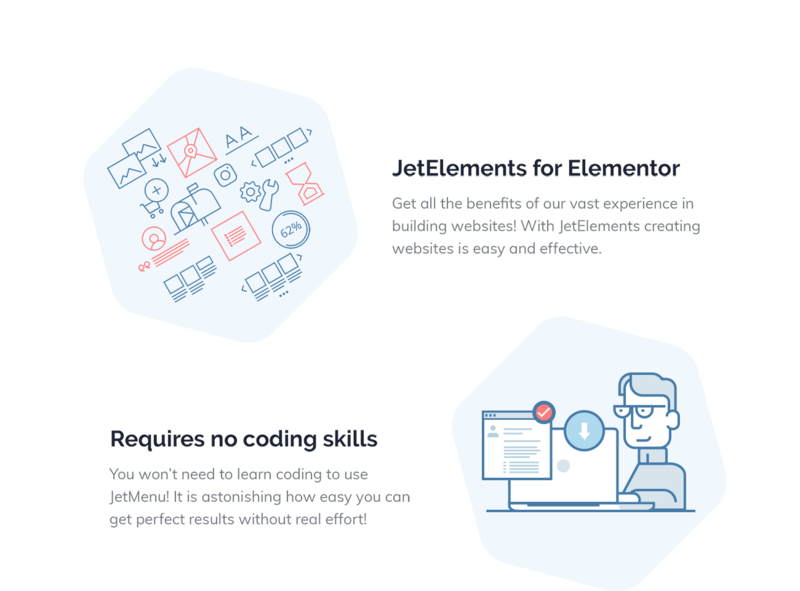 Moreover, you will customize a website according to your wishes using a powerful Jet plugins bundle for Elementor page builder. With JetElements plugin you will enrich the content with utility elements and apply different style settings to them easily and quickly. JetTabs plugin will allow organizing the content into well-structured tabs and accordion blocks without any coding skills. With JetMenu plugin you will create a mega menu in a drag-n-drop way and use a lot of style settings for different menu presets. Using JetThemeCore plugin you will be able to build a website from scratch using a big library with pre-designed sections. 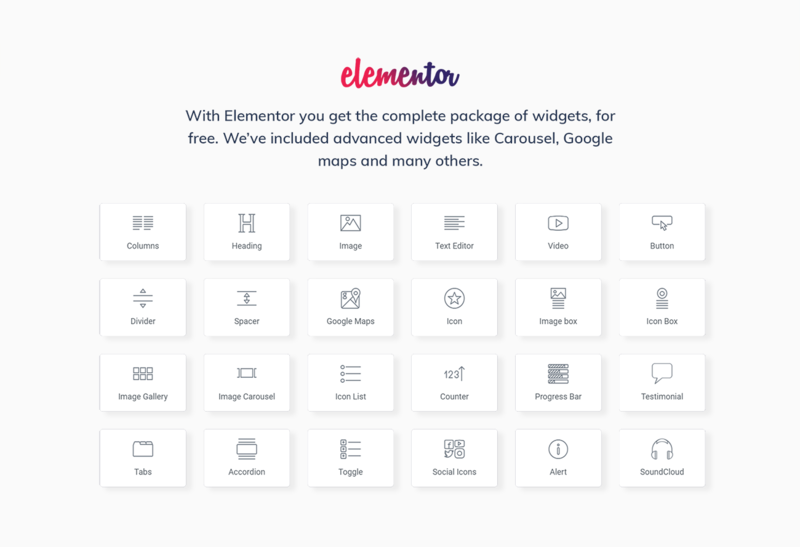 Expanor is a fully responsive and intuitive theme, which will be a great helper for you.